#Russia. #SaintPetersburg. #StPetersburg. #Leningrad. #Petrograd. #RedRussia. #AuroraCruise. #SovietUnion. #USSR. #RussianRevolution. #Perestroika. #KGB. #Lenin. #history. Red October tours St Petersburg. Russian history. Great October Socialist Revolution in St. Petersburg. KGB In the USSR. St Petersburg tourist attractions. See also guided tour to Kronstadt. The Great October Socialist Revolution and 70 years of Soviet Power. What was it – a great event, a unique experiment or a tragic mistake which took away lives of more than 20 million people? How did it happen that those who struggled for the victory of the Revolution were named enemies of people, arrested and shot or sent to Siberia a few years later? What was the truth about World War II and what was the cost our country paid for the victory? How did people live during "the Soviet Era": were they happy or did they suffer severely? How did "perestroika" start and why is Gorbachov popular abroad and not so popular in Russia? There are so many questions... Sorry, we won’t give you the exact answers to these questions and we are afraid there are no exact answers at all. We do what we can do: we give you some facts, we show you documents, photos and documental movies, so we’ll just help you to find your own answers. Is it interesting? Then, welcome! This museum was opened on October 9, 1919 but at that time it was named Museum of Revolution. In 1991 it was reorganized and got the new name Museum of Political History. The collection reflects the history of the state system since the time of Catherine the Great up to our days, the fates of the most famous historical figures as well as modern democratic, social and political movements and parties. The largest and most interesting part of the collection is dedicated to the history of the three Russian Revolutions and the post-revolutionary period. You can find more detailed information here. On display you will see authentic documents, personal belongings of those who were in the city at the time of the blockade, photos, paintings and dioramas. Huge maps will help you to understand the main events of military actions: the besieging the city, the creation of so called "Road of Life", the breaking and final lifting of the siege. The most impressive item on the exhibition is the famous piece of 125 grams of bread distributed with ration cards- the daily ration of the citizens. The reconstructed "room of the Leningrad citizen during the siege" and the documental movie will help you to feel the atmosphere of the time and to appreciate heroism of our city. You can find more detailed information here. The tour to this museum could be replaced with the tour to the Museum of the Defense and Blockade of Leningrad. The exhibitions are similar. 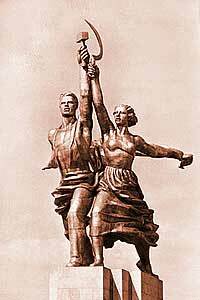 One more place which is obviously worth seeing is the Monument to the Heroic Defenders of Leningrad. One could easily see this outstanding monument on the way to/from the airport. The exhibition which is in the basement of the monument is small but nevertheless very impressive. You can see a documental movie of the besieged city and symphony N 7 – so called Leningrad symphony- by D. Shostakovich always sounds. We don’t offer a tour to this place – it’s just a visit. You will see a huge territory where in 186 mass graves about half a million bodies are buried. They are citizens who died of starvation in the years 1941-1944. No explanations are needed to understand the tragedy the city lived through. You can find more information about the Piskarevsky memorial here. The Smolny Institute was opened by Catherine the Great as an educational establishment for the girls from the most noble families. Later on that very building became the head quarters of the Revolutionary Uprising. Lenin lived and worked there for several months. He and his wife occupied only two small rooms, one was a study, and the other was a living room. Obviously you will be shocked by the simplicity of the everyday life of the Great Leader. Nowadays the Smolny is a residence of the Governor of St. Petersburg, so please be ready for special security precautions. The museum comprises several exhibitions. One is a spacious five-room apartment where Sergey M. Kirov, the popular leader of the Leningrad Communist Party, lived. It will give you an idea about what the everyday life of an important communist figure of the twenties was like. The tour will also reveal the mystery of Kirov’s death. Another exhibition, not less interesting, represents everyday life of ordinary citizens of the same period. You can find more information here. It was a home of Stalin’s wife Nadezhda Allilueva, the place which was frequented by Stalin. Lenin used it as a secret flat for three days in July 1917. The museum was established by the communists in 1937 and was very little changed since then. KGB In the USSR: People, Events, Actions / Gorohovaya, 2. The History of the Political Police In Russia in the 19-20th Centuries. The exposition displays archive documents of the foreign intelligence service, the Federal Security Service, State archives of the Russian Federation as well as some private collections of the KGB officers. The exhibition is placed in the historical building on Gorohovaya 2, the first home of the VCHK. The memorial study of Felix E. Dzerzhinsky, the creator and the first leader of the VCHK is open for public. You can find more information here. You can choose one or several of these museums. Tours will be conducted by a local guide from the museums. The prolongation of each tour will vary from 45 min to 1, 5 hour and will depend on the museum as well as on your interest in our history. In some of these museums tours can be conducted only in Russian, so our guides will interpret. On the way to these museums we will be pleased to show you some other places connected with our revolution or the Soviet period of History, such as the memorial on the Field Of Mars, the Aurora Cruise, a monument to Lenin on Lenin Square, the locomotive that brought Lenin to Petrograd in April 1917 and others.